Recently, Lin Junjie, the ex-Chief Editor of the Nanyang Chronicle, wrote a piece about the censorship of campus news media. This article is a reflection of a similar theme. ONE YEAR ON, it seems like nothing has changed. 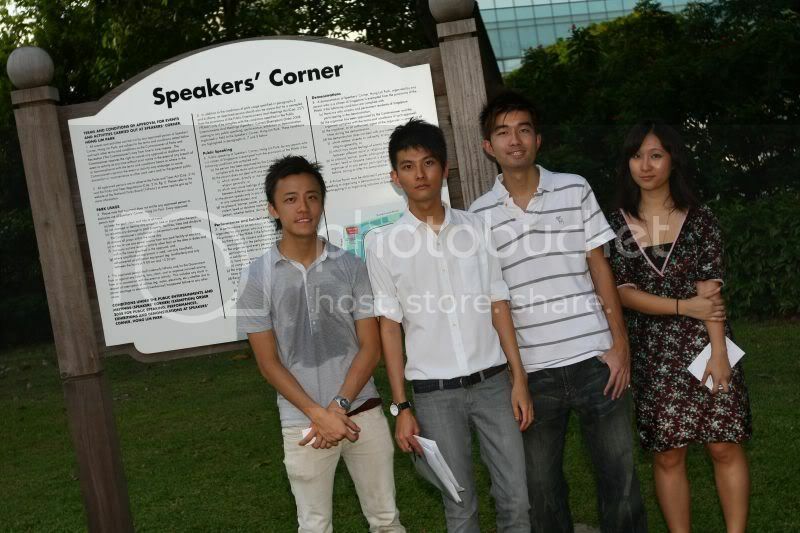 It wasn’t so long ago when a group of students took to the Speaker’s Corner in a bold (some would say foolish) move to protest against the censorship of the campus media in NTU. I could remember the palpable excitement then; suddenly lectures and assignments became something of secondary importance. Grades no longer mattered, and all I could think and dream about was the protest. When the Chee Soon Juan article was spiked, passions ran wild. Journalistic outrage went rampant among the student reporters at the Wee Kim Wee school. Never mind that the rest of the students didn’t care. Never mind if students from other faculties didn’t know about the incident. All we knew was that an injustice had been wrought, and something had to be done. And so the students did. The Online Citizen went right into the thick of things, becoming the first to break the news online. Some anonymous protesters began putting up posters all over the school. These, however, were promptly removed within minutes by the security staff, displaying the finesse of the ISD. Things culminated in a protest at the Speaker’s Corner — our voices were heard, which sprang wide and loud throughout cyberspace. We were in a tizzy, ecstatic at the attention we were getting from both local and foreign media. The Enquirer, an independent NTU news portal, was birthed — a defiant protest against the constant media censorship that had been occurring in the university even before the Chee Soon Juan incident. Never mind what the elders said, we were the ones in the driving seat! But it became apparent soon after that the warm afterglow we were basking in would cool. The Enquirer struggled, along with its counterpart The Campus Observer in NUS. Fiery journalism soon gave way to jostling for credits. Reporters still write for the Chronicle, but no longer out of passion or public service. Our grades mattered once more. I first became editor of the Nanyang Chronicle back in December 2007, a journalism professor told me: “If you want to do journalism, don’t do it in Singapore.” The words struck me not only because it had come from a journalism professor, but also because I could never understand why I would ever want to be a journalist elsewhere. Journalism is after all about public service; wages are low, hours are long and the pace is frenetic. I could not imagine myself rendering such a service to a place where I did not belong, no matter how free or liberal the press was. When the university dramatically pulled out an article on opposition leader Chee Soon Juan’s visit to campus on my eighth issue, it became clear why the professor had said those words to me. I cannot say that I totally agree with that professor. But there is no doubt that there are some things that cannot be said in Singapore, especially when it comes to politics, not in the mainstream media at least. Laws governing the freedom of expression is in dire need of reform, otherwise they continue to serve as a gag on journalists here. On the other hand, as long as a journalists stays within the prescribed limits demarcated by our masters, one can arguably still do meaningful journalism. The question then remains: How can these limits be challenged? And at what personal cost? The protest at the Speaker’s Corner was to me a life defining moment. I find myself referring back to it both in my thoughts and in my conversation with others. It showed me the grim reality that those that dare to go against the status quo may find their efforts to be utterly fruitless. While the media attention on the protest was great, the crowd was small. It wouldn’t have been so in other countries. The protest has left me lasting memories. But one year on, there is no sign of reform; nothing has changed. Nonetheless, my sense of idealism and purpose remains strong in me, despite the glacial pace of change. I still pine for better days, despite evidence that certain bureaucrats are still stuck to their old obsolete ways. I still believe journalism in Singapore has a future, despite the recent upheavals in the media industry in America. I am just two years away from entering the working force, and they say that is when idealism gives way to pragmatism. But I will hold on to hope for as long as I can.